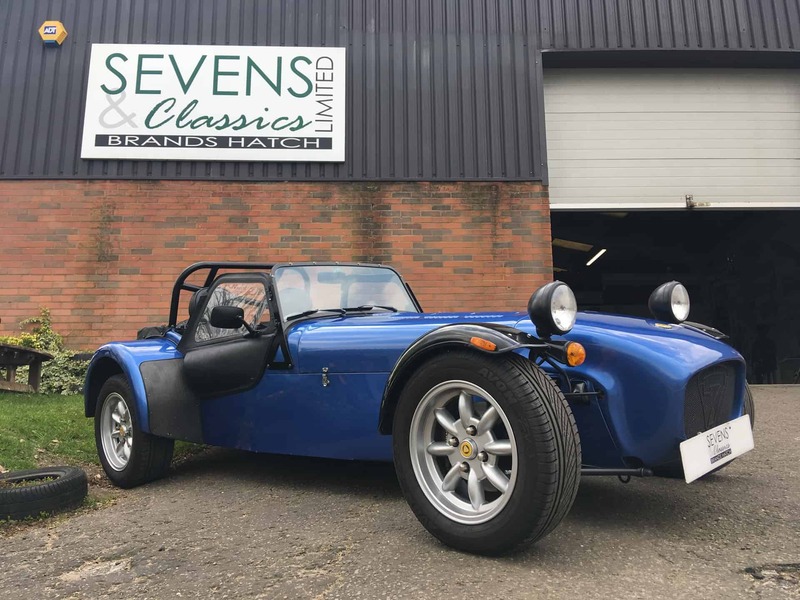 Sevens & Classics Limited was founded to provide our customers with a wide choice of quality Sevens and Classics, backed up by a professional, passionate and reliable service. Our aim is to exceed our customers’ expectations whenever possible, whilst offering a relaxed and entertaining environment. Whether you are looking to buy, sell or just take a look around our busy showroom, you will always find a welcoming atmosphere at our Brands Hatch location. As well as buying and selling quality used cars, we offer full service and repair facilities including full body resprays and chassis repairs using approved factory suppliers. We are also happy to pick up and deliver your car should it be necessary or we can drop you off at the nearby mainline station should you need to get into London. We would be delighted to welcome you to our premises; why not drop by to see what we have to offer. We guarantee it will be worth it! Sevens & Classics provide a comprehensive car and bike maintenance, repair and refurbishment service at our Brands Hatch premises. All work is undertaken by our fully experienced staff and utilitises original factory parts and processes wherever possible. We can offer a “while you wait” service where practical, where you are welcome to utilise our customer lounge with full facilities including coffee, TV and WiFi. Alternatively, you may prefer to leave your car with us, using our “drop off and collect from our local train station” service. In addition, we can provide a courtesy car if more practical, or at a minimal cost, a collection and delivery service for your car. Our rates are very competitive and we try to ensure we offer the best value for money. We are also able to undertake all insurance repair work, right from a complete chassis change to broken nose cones! We deal direct with the insurance company, making a painful experience as easy as possible for the owner. Please just call us on 01474 871184 or email at service@sevensandclassics.com for a quote. At Sevens & Classics, we always do our utmost to put the customer first; your satisfaction is extremely important to us. We will always advise of any additional work required before we undertake any work, and will always stand by any prices we have quoted. We strive to provide complete customer satisfaction! Six Months Unlimited Mileage Warranty – No quibble in-house warranty gives you great peace of mind with your purchase. If somethings gone wrong that’s not your fault, we’ll fix it! The Right Car for You – If you agree to purchase a car from Sevens and Classics, we’ll let you test drive as many cars as you wish to make sure you end up with the right one. All Under One Roof – All our servicing, maintenance and repair work is done on site in our Brands Hatch showroom in full view of our customers. We’ve nothing to hide here! Unrivalled Experience and Expertise – Most of our team are ex-Caterham employees and have been serving and maintaining Sevens for majority of their lives. The Caterham marque flows through our veins. Guaranteed Quality – All our vehicles under-go a full service and check over, HPI check and have a new MoT before leaving our showroom for pastures new, meaning you, the customer, can buy with confidence. 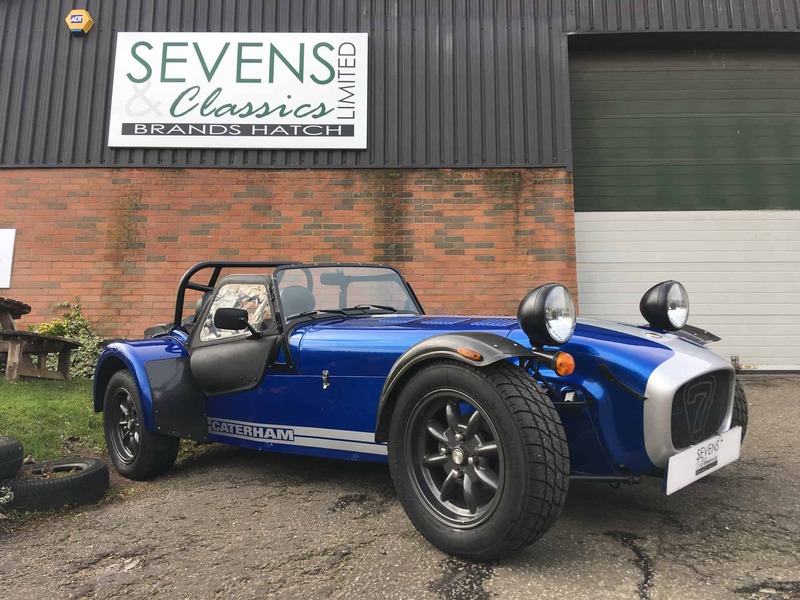 Huge stock of Pre-owned Caterham Sevens – We are the world’s largest independent Caterham specialists and subsequently have a huge stock of Sevens. We guarantee to put you into the right car, in the right specification, in the right colour. Welcoming Showroom – We have created a warm, friendly showroom here at Brands Hatch, including a customer waiting lounge with full facilities and complimentary refreshments all day with a courtesy car or local main-line station taxi service all included. Friendly, Enthusiastic, Knowledgeable Staff – All of us who work at Sevens and Classics do so because we want to, because we love what we do. Yes, it’s a business, but it’s so much more than that to us; it’s what we love doing. And we hope this enthusiasm and passion for the Caterham brand is evident for all to see.